Dashwood Regency Slippers are just the fine, fancy footwear you're looking for to complete your Regency costume. 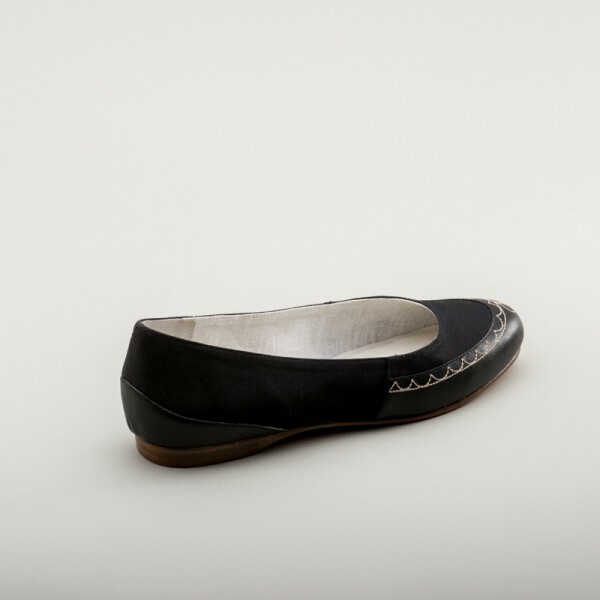 So much more than a basic flat, our Dashwoods are made of fine cotton sateen foxed with black leather on the toe and heel, featuring a historic embroidery motif on the toe. The Dashwood slippers are lined in a white textile and bear our historic shoemaker's stamp. 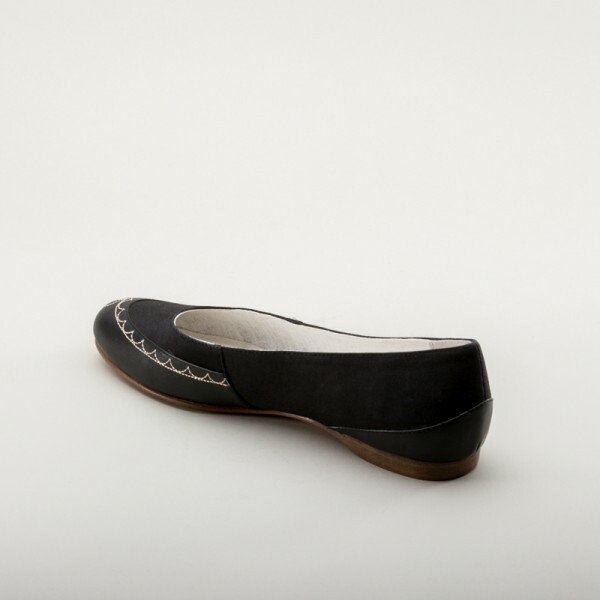 Dance the night away on leather soles with a tiny 0.5 / 1.27 cm spring heel. Dashwood Regency Slippers are based on several extant examples held in museums. This style of foxed slipper was popular from the 1790s through the entire Regency period and continued into the Romantic Era. 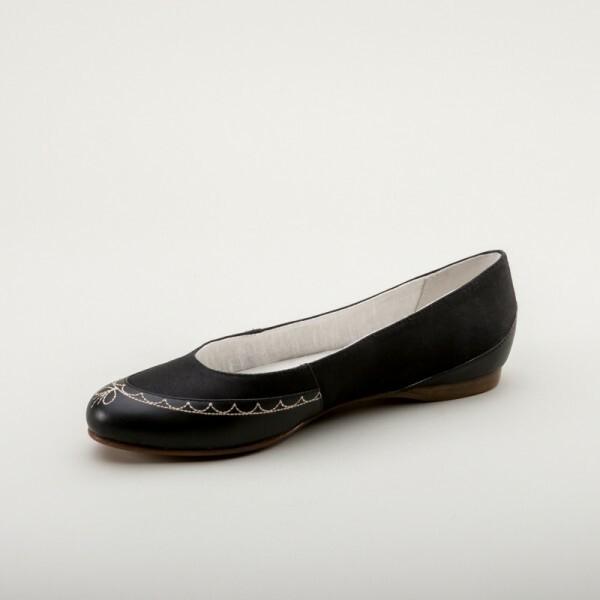 Wear your Dashwoods as it or fancy them up with bows or clips on the toes. 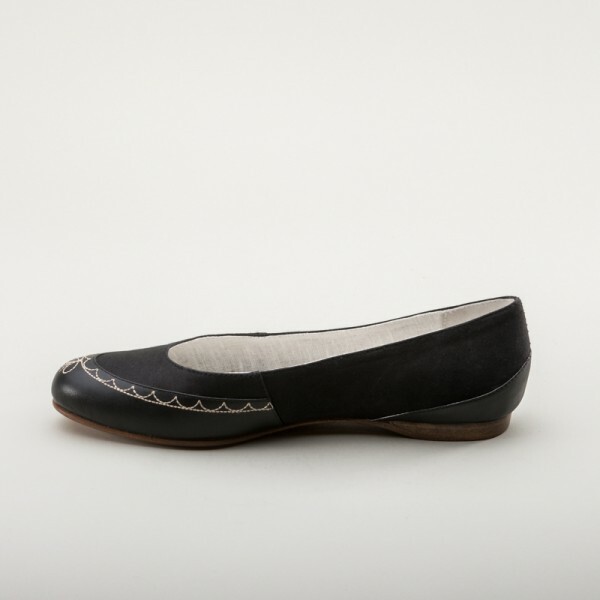 This versatile slipper is excellent, accurate, and comfortable for Regency balls, Jane Austen events, or even with modern outfits. 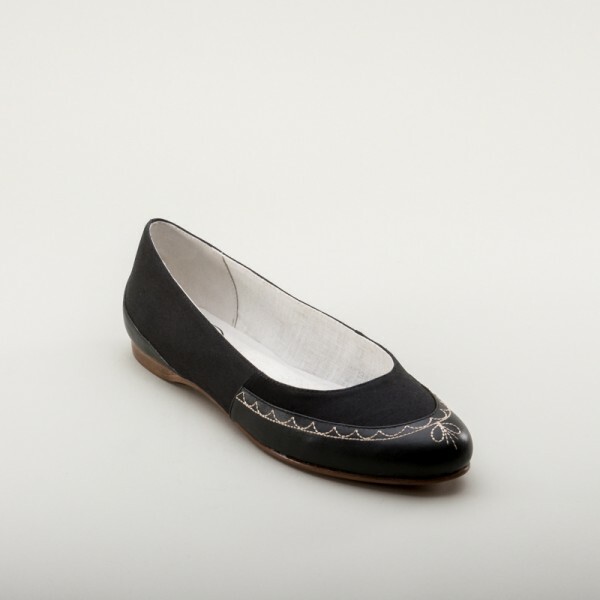 Cotton sateen uppers foxed with embroidered black leather. Historic motif embroidered on the toe in tan stitching. Historic trade stamp on the insole. 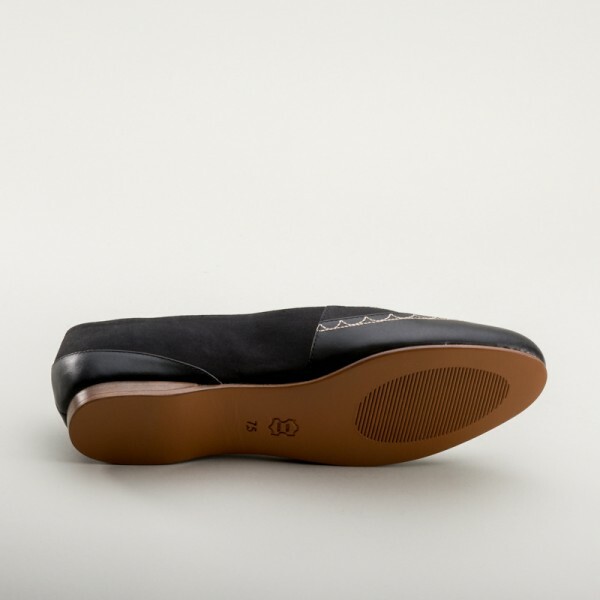 Order a half-size larger for wide-width feet, if you prefer your shoes to fit more loosely, or intend to wear with thicker stockings. 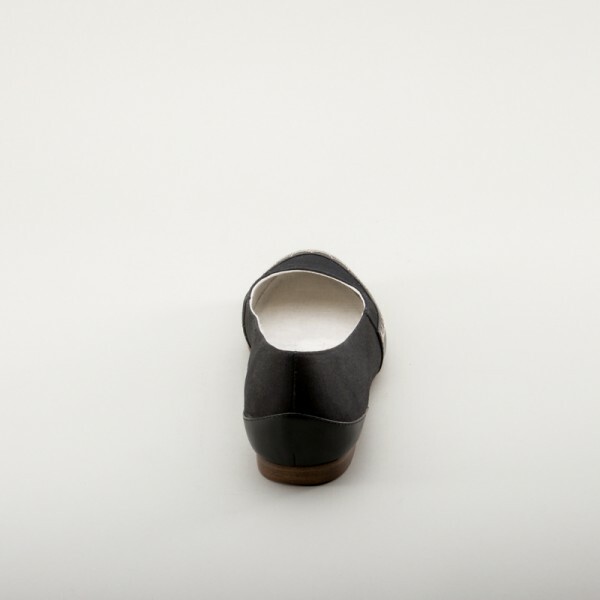 Heel 0.5" / 1.27 cm stacked leather heel. 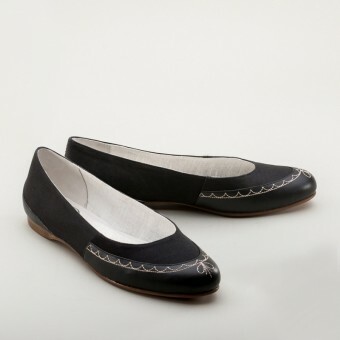 "Dashwood" Regency Slippers (Black)(1800-1820) has an average rating of 5/5 from 4 reviews.